Its that time again. 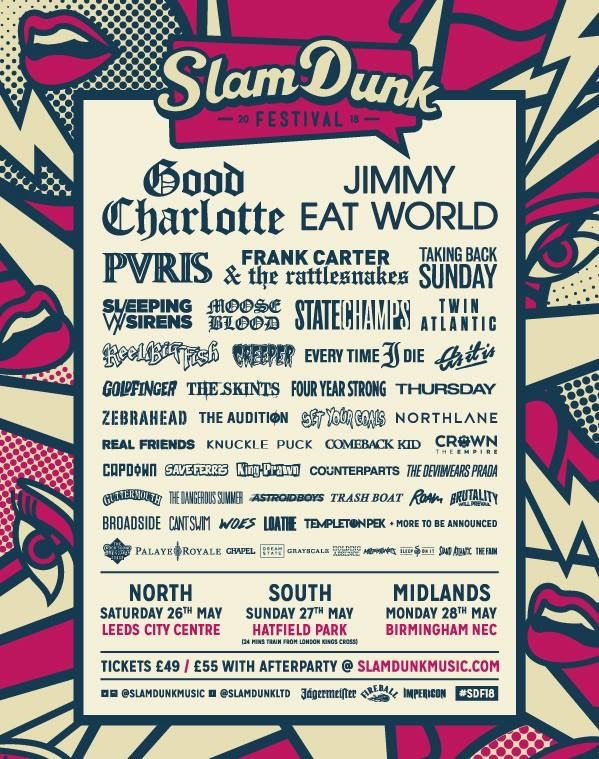 Theres more bands added to the Slam Dunk line up. Additions include; Moose Blood, As It Is, King Prawn, Guttermouth, The Dangerous Summer, Woes and Templeton Pek. Along with The Devil Wears Prada, Astroid Boys, Brutality Will Prevail and Loathe from last week’s Impericon.co.uk stage announcement!